We got the rumors this week that Apple may be working on a curved design for upcoming iPhone 6. 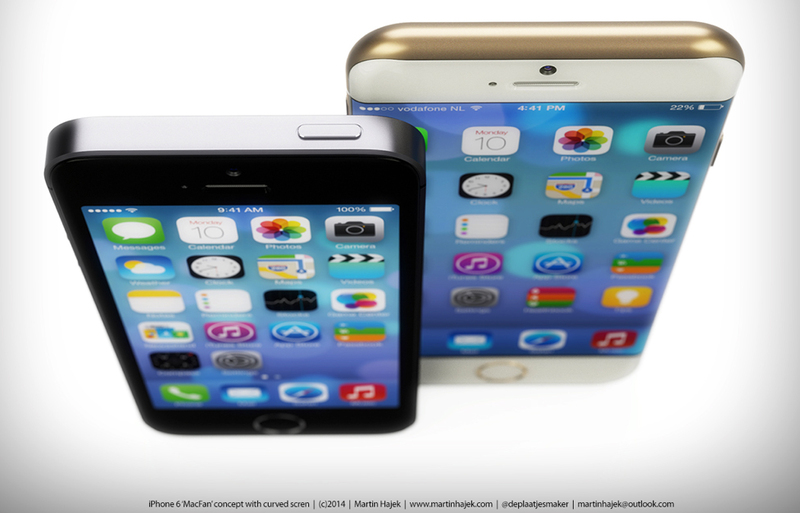 The popular concept designer Martin Hajek has come up with a curved iPhone 6 rendering in an aluminum casing. 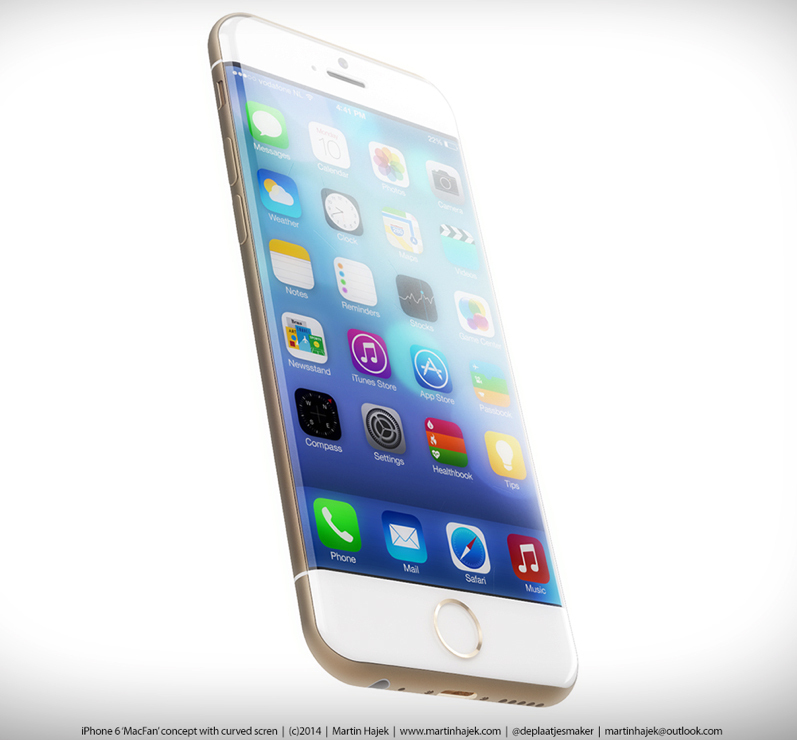 This rendering doesn’t include the round buttons of iPhone 5s, but uses rectangular shaped volume keys on the curved iPhone 6. 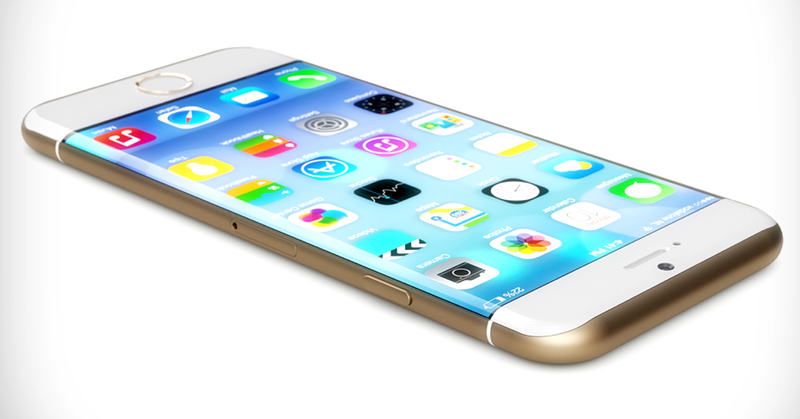 The curved iPhone 6 rendering shows rounded corners with curves at the edges. This concept also shows Power key on the right top of the smartphone. It actually comes following the rumors that Apple will change the position of power button to have an easy one-handed use. 8th gen iPhone is expected to sport an ultra-thin, almost bezel-less design form with rounded edges. 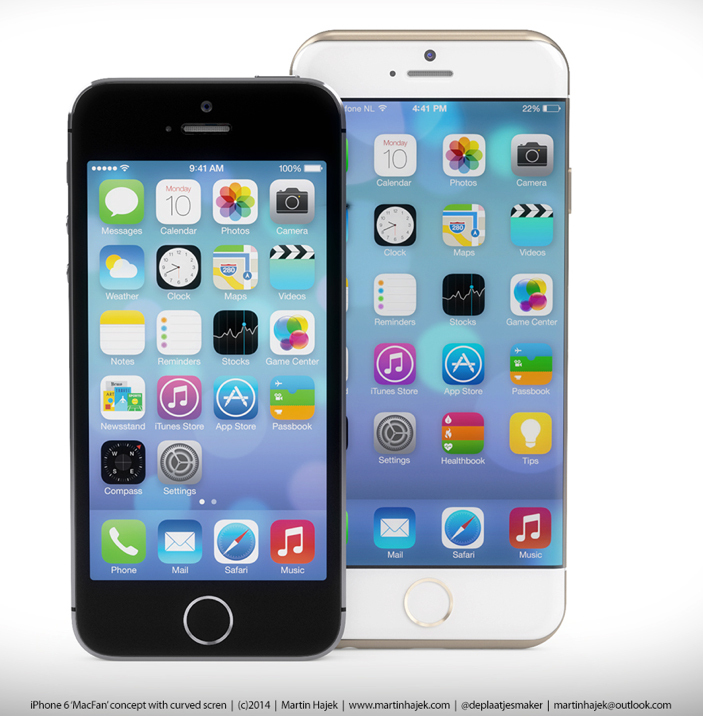 iPhone 6 leaked images and news suggest that the device will sport an A8 processor, 1 GB RAM, Touch ID sensor, and an improved 8 megapixel camera with Optical Image Stabilization (OIS). iPhone 6 is also expected to sport a durable sapphire display panel. Software wise, iPhone 6 will be powered by iOS 8 featuring new fitness apps with a focus on Healthbook app, an improved Maps and Siri experience, inter-app communication capabilities and more such refinements.